Join us in bringing water to families in Uganda. EVERY DOLLAR IS BEING MATCHED, UNTIL WE REACH $100,000. Give now so your gifts can go twice as far! Give directly to support one person’s job training, or you can become a member of our Collective to support all causes. Your gifts will train people for impactful jobs that serve their local villages with clean water, health care, nutritious food and protect the environment. Once working, moms and dads are moving their entire families out of poverty and sending their kids to school. A job is more than just a paycheck. Wake up with purpose. Send kids to school. Buy food for your family. Imagine the feeling of escaping poverty for the first time. The most beautiful gift you can give someone is the opportunity to thrive. We work hard to make it easy for you to give. Learn more about our proven approach to ending extreme poverty. Become a member of our Collective. Do you want to give back effectively and learn more about how your gifts are helping? Join with a recurring donation and see your impact every month. 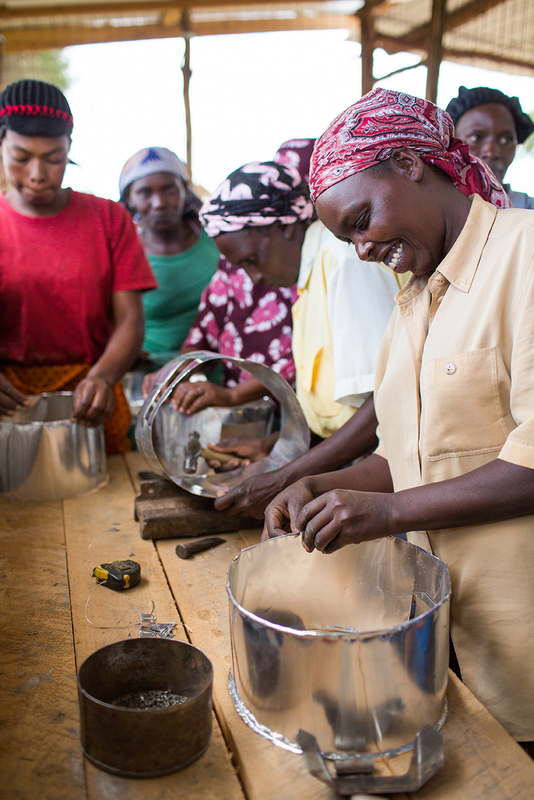 Sponsor a woman's job training.